The first moments after an accident are crucial when it comes to developing a solid legal case. From car accidents to slip/trip-and-fall incidents and everything in between, you can count on The Law Office of Steven M. Willner, PA to represent you and fight for your rights. 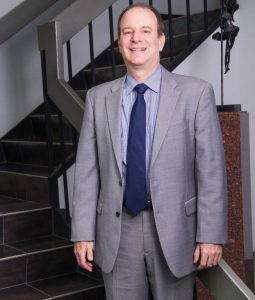 Mr. Willner has more than 23 years of valuable experience in the legal field, during which time he has gained a great deal of knowledge while serving the unique needs of a wide range of clients. Perhaps you’ve been injured by a defective product and are interested in seeking compensation from the manufacturer but have no idea where to go next. Fortunately, Mr. Willner is here to help you with the legal representation you need to confidently pursue pursue your rights. With a free initial consultation for all injury cases to get things started, you’ll have a chance to discuss your case with Mr. Willner when you visit or call his personal injury law office in Hollywood, Florida. As a personal injury lawyer, Mr. Willner also represents cases involving medical malpractice and wrongful death. 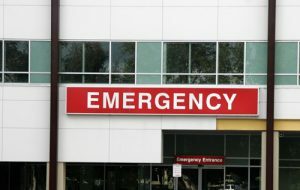 When you or a loved one has become the victim of an injury caused by improper medical care, you can trust Mr. Willner to fight for your legal rights at every step of the process. He also fights for the families of those who have died as a result of negligent behavior or misconduct on by another individual. Such cases may also involve gross negligence and may involve a claim for punitive damages. After you’ve reached out to Mr. Willner for legal assistance with your personal injury claim, he will work with you to arrange an appointment at your earliest convenience. With flexible hours available, you’ll be able to visit his office at a time that works best for your busy schedule. Rather than providing generalized service that doesn’t address your specific needs, Mr. Willner offers individualized attention based on your unique legal situation. He provides aggressive representation for your case and requires no fees and generally no costs to be paid until a recovery has been made. Mr. Willner is also bilingual, so you can feel comfortable communicating with him in English or Spanish throughout your case. When you’re ready to begin your case, contact his legal office to get started on the journey to recovery. Contact Mr. Willner to schedule a visit to his personal injury law office. He serves clients in Hollywood, Miami, Fort Lauderdale, Palm Beach and Boca Raton, Florida.